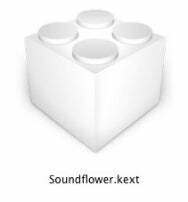 After you’ve installed Soundflower launch the Sound system preference and you’ll see evidence of Soundflower in the Output and Input tabs. 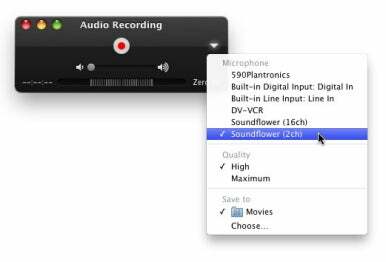 Select the Output tab and choose Soundflower (2ch). 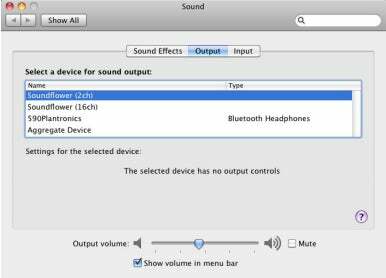 Do this and any sound that would normally come out of your Mac’s speakers is now routed through Soundflower. Any is the key word here. If your Mac makes any sound—not just the sound you’re trying to capture but also e-mail and Twitter alerts, for example—it will route that too. Special Thanks to: Christopher Breen (Macworld).